One of my goals for this year is to continue teaching my children some skills to make them more independent of me. A focus of our learning around here is to take full advantage of all the learning we can in and around the home. In addition to math, science, and languages, I feel it’s my duty to help my children learn to care for their own needs. 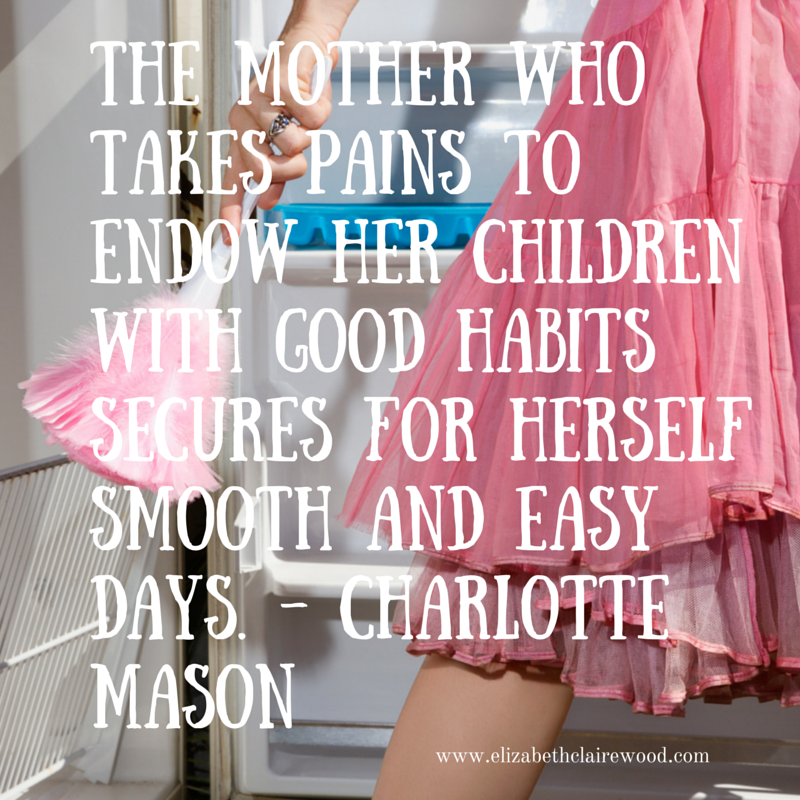 Each month of this year, I am focusing on a different skill/chore and taking my time to instruct my children. This isn’t earth-shattering news. These aren’t difficult skills. No doubt generations of mothers before me have been doing this since the dawn of time. I have been slowly showing and teaching my children these things since they were tiny. First it was to put away toys into baskets and bins and over the years that has evolved into doing their own laundry, loading and emptying the dishwasher, and making their own beds. As they are growing, so, too, should their level of involvement around the house. Our kids do earn “commissions” for a few set chores each week, but the skills we are working on this year are “just because” skills. They will learn to utilize a savings account to keep their money in a secure location, “away” from the temptation of their reach. They will understand the benefits of watching their money grow and how to view their accounts online. They will also learn how to keep a deposit register. Our three children have been earning chore money for years now. They have each had various wallets and ways for keeping track of their own money. Between what they earn and what they are given from family members at holidays and birthdays, the accumulate quite a stash of cash. This time last year, they completed Financial Peace University Junior and have faithfully kept their money separated into their three clear cash envelopes: spend, save, give. About once a quarter we pool their “give” money and sponsor a family project. They have sent it to a friend for a missions trip, bought socks for a nursing home and bought and filled back packs for a back-to-school event a local church sponsored. Their “spend” money gets spent however and whenever they want. They are making someone at the LEGO company a very wealthy person. Our son recently upgraded his own DS and bought new games. Other things they buy: extra snacks at our co-op concessions, Lil’ Woodzeez (the girls), games from Learning Express and other junk from Target. Their money. Their choices. We have already had dozens of discussions and lessons about needs vs. wants, about delayed gratification as well as buyer’s remorse. Real lessons. Real life. For this month’s skill/chore of choice, I learned about a local credit union here in town that allows minors to open savings accounts. They get various prizes for various total amounts and as well as deposit amounts. They each earned a new t-shirt just for opening their accounts. Their accounts are tethered to an account I opened and they have access to viewing their account on an app. If you are skeptical and think that sounds too complicated for kids, I’d like to introduce you to a bunch of two year olds who know how to effortlessly operate an iPad. This type of technology is just a part of life for our generation of children. Anyway, the goal here was to get wads of cash out of their nightstands and put it somewhere safe. Ryan and I have given each of our children a challenge. At the end of summer, if they have doubled their opening balance totals, we’ll give them each a sizable bonus to add to their accounts. Hopefully this will serve as a motivator to keep plugging along on their chores and commissions despite our lack of routine during summer months! We’ve already been doing the math to see how much they’d need to earn each month, each week and each day in commissions in order to achieve their goal. It’s totally doable. They are excited. Another goal here is to have the kids learn about adding in their deposit amounts into a deposit ledger or register. We will take frequent trips to the credit union for them to make deposits and watch their accounts grow. Our kids know that money doesn’t grow on trees. They know it comes from hard work and having it when you need it comes from disciplined habits of keeping saving and spending in proper perspective. See January’s chore here. Ironing. See February’s chore here. The Oven.